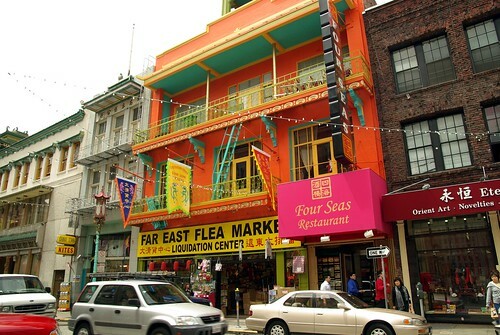 Maybe I became colour-blind with Montreal’s Chinatown, but San Francisco’s struck me in awe as spectacularly multicoloured — especially in shades of fluorescent orange, green and yellow. 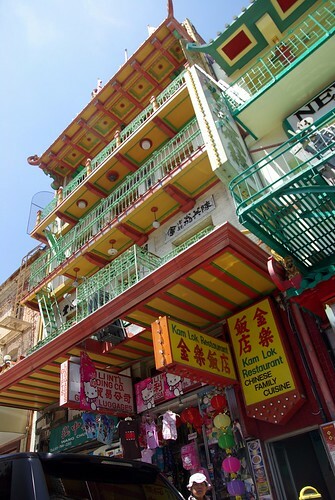 Well contrasted with generous usage of the Asian font and you find a Chinese America from a past era, or at least, forever stuck in a generation’s imagination of what a Chinatown should look like. Somehow, it’s an interesting walk, in the same way a walk at Windows of the World is interesting. 2010-06-06 San Francisco Chinatown — Only in Chinatown Inc.
Salut Cedric, que fais-tu a San Francisco? Tu es la jusque quand? 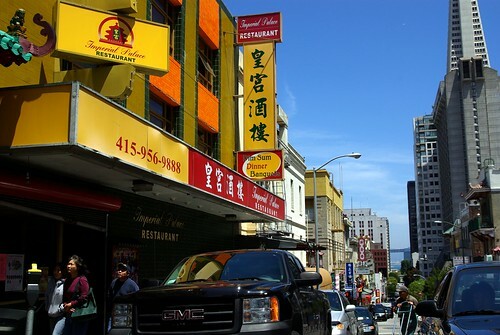 Previous Previous post: San Francisco Chinatown — Only in Chinatown Inc.